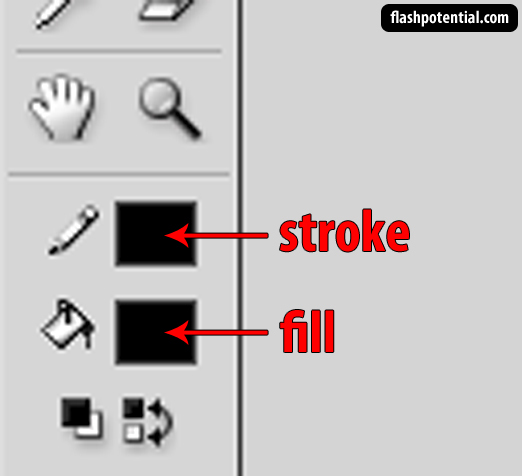 So if you want to choose a color for any of the tools pictured above, make sure that you're choosing one from the stroke color box, and NOT the fill color box. 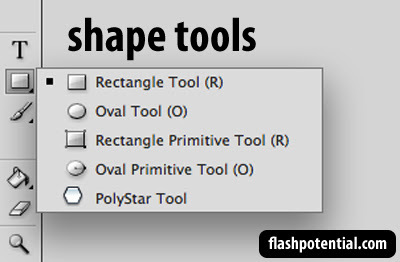 And if you are using any of the shape tools, then BOTH the fill and stroke colors can be used. 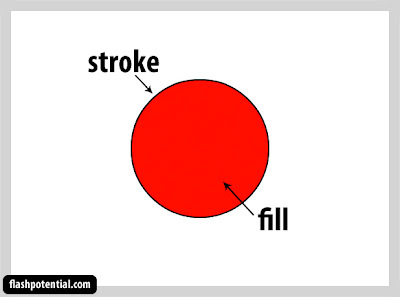 For shapes, the stroke color is for the outline of the shape, while the fill color is for the color inside the shape. 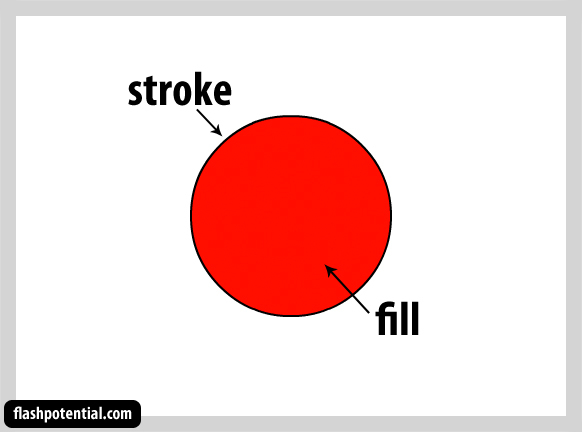 In the image below, we see a circle with a black stroke and a red fill color. To choose a fill or a stroke color, click on the fill or stroke color box to bring up the color swatches. 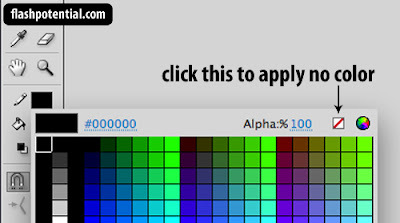 Then click on the desired color in order to select it. 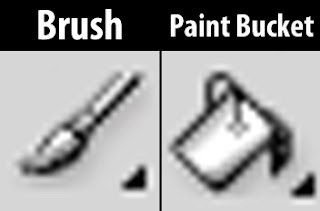 Once you have your color selected, you can then choose the desired tool and start drawing. 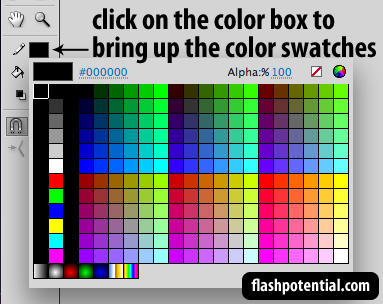 To choose NO fill or stroke color, click on the fill or stroke color box to bring up the color swatches. And then click on the white square with a diagonal line that can be found at the top-right of the swatches.